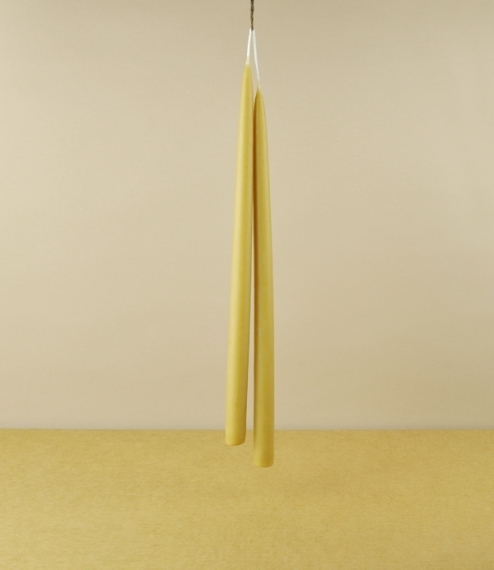 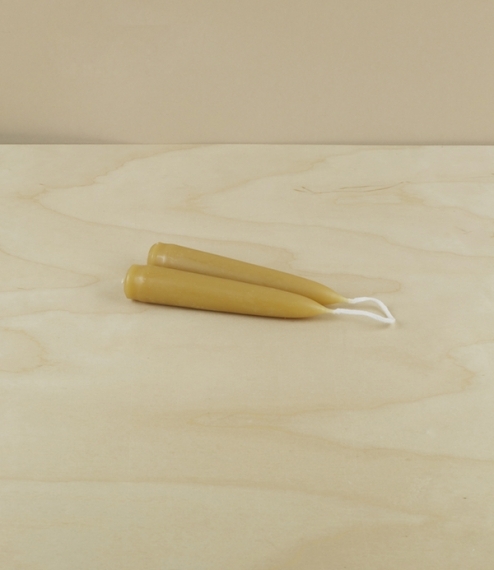 Pairs of hand dipped unbleached natural beeswax candles from Cumbria, made of wax from mostly English, Scottish, and occasionally European and African (due to temporary shortages of UK wax) bees. 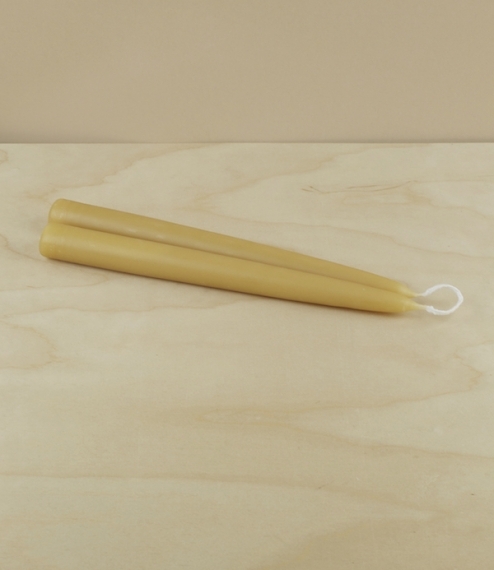 Deep, occasionally mottled yellow colour, and a gloriously honeyed scent. 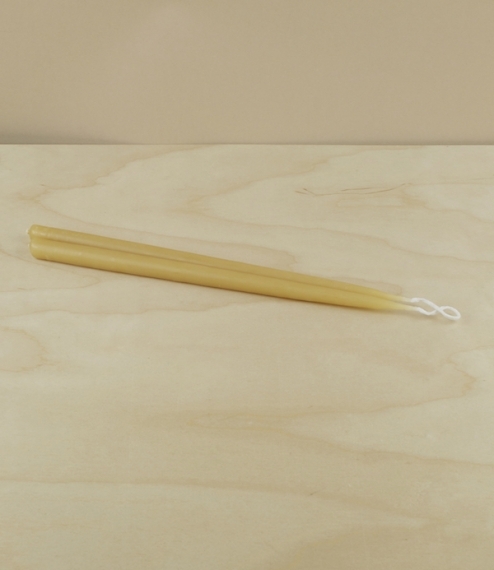 These are the long dinner candles of about 35cm length and 20-23mm at their base.